We are a CRO based at the heart of the Barcelona Science Park. We specialise in R&D Process Chemistry, Solid Form Development, and Medicinal Chemistry. Contact us to find out how our expertise in Cocrystals and Asymmetric Synthesis can help your project succeed. Our platform has a solid background in the design and synthesis of small molecules as ligands for a broad range of therapeutic targets. We can contribute in the different stages of a drug discovery program. Chemistry that works. We work continuously in the resolution of chemical challenges, the design of new routes of synthesis, and the creation of valuable processes for fine chemical, pharmaceutical and biotechnology industry. Crystallising your ideas. We can help you through the entire process of solid form selection, from initial screening, analysis, characterisation and performance tests to development and scale-up and long-time stability tests. Enantia is created as a spin-off of the University of Barcelona with headquarters in the Barcelona Science Park. The initial team is composed of eight people including Mr. Llorenç Rafecas as CEO, a professional with 24 years of experience in the fine chemicals industry, with executive responsibilities in chemical R&D. Enantia opens a second laboratory dedicated to synthesis. Genius Pharma, a consortium led by the three major Spanish pharmaceutical companies in which Enantia plays one of the leading roles, wins a CENIT R&D project (CDTI). The main objective of the project is to develop, build and exploit technology platforms and best practices in the drug discovery process. Enantia opens its third laboratory in Esplugues de Llobregat to start its Crystal Engineering Department. The area is where 90% of the Catalan life science sector calls home. Enantia is awarded the 2008 Pimec Prize (Premis Pimec) for the most competitive small company. This prize was given personally by the King of Spain Juan Carlos I to the then CEO Llorenç Rafecas during a dinner in Barcelona. Pimec is the association that represents the micro, small and medium-sized companies in Catalonia. Enantia files its 20th patent. Set up on the basis of a strategic alliance between four pharmaceutical companies (Almirall, Esteve, Palau Pharma and Proteomika), the Neogenius project kicks off and runs for four years with a total budget of 15.4 million euros with the objective to discover and develop new painkilling medicines for patients suffering from osteoarthritis. Enantia is selected as custom synthesis provider to support the drug discovery activities of the consortium. The company is awarded the 2011 Senén Vilaró Prize. 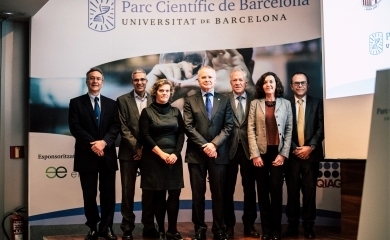 The Bosch i Gimpera Foundation (University of Barcelona) gives this prize as a recognition of Enantia's track record in transferring its scientific and technical knowledge back to society. Enantia opens its first commercial office in Milan (Italy) and starts its Medicinal Chemistry Department. Enantia enters in the Nano3Bio's international scientific project in the field of biotechnology. 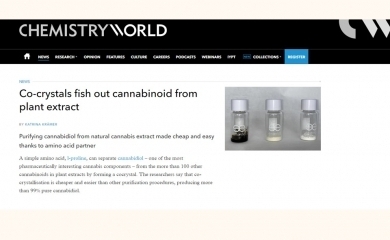 Its goal is the breakthrough from basic research to biotechnological production of chitosans. The consortium represents eight countries (six universities, two research centres, 13 start-up or well established SMEs and one large company). Start of the ALBA synchrotroncollaboration, the most important light facility in the south of Europe. Since 2014, here at Enantia we have taken advantage of the ALBA's light beam, allowing us to reach even higher resolution and greater sensitivity. With the in house diffractometer we are already able to characterise a crystaline structure, however with the ALBA beamline we are able to tackle the most challenging projects. The same year we celebrated filing our 40th patent. 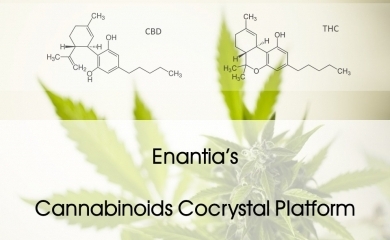 An innovative cocrystal, obtained by Enantia working in collaboration with Esteve R&D, is part of the global partnership announced by Esteve and Mundipharma-Purdue. During 2016 Enantia filed its 50th patent. In 2018 Enantia celebrates its 15th anniversary. Furthermore, during 2018 Enantia opens its new offices in the Barcelona Science Park, which consolidate the growth of the company over the years.